Following a month-long soft opening (and flexing of the Peruvian pocket book), the much-anticipated La Mar Cebicheria opened earlier this month and well, it's pretty much been a coveted resy since Day One. The first American foothold of Peruvian celebrity chef Gaston Acurio, La Mar represents in many ways the arrival of the cuisine on the national stage. That extended practice run has service running smoothly, the fare is getting positive reports and you can see how the well-oiled formula can (and will) be duplicated in other American cities. Most importantly, for now, La Mar has reached that coveted status of a restaurant that attracts all walks of diners, from cash-spending tourists to curious locals. 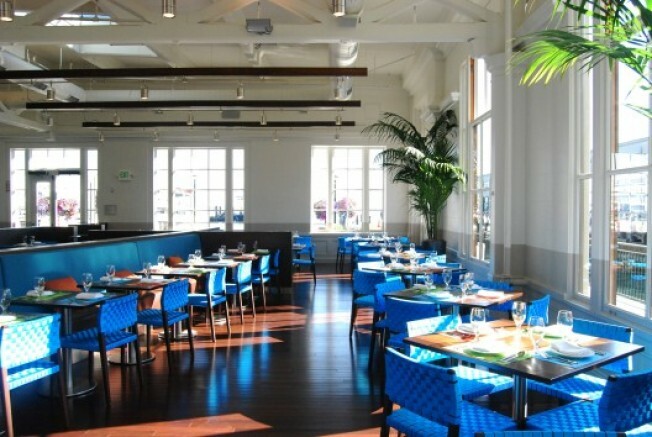 The space itself is divided into an 80-seat main dining room, a patio, cebiche bar, lounge area and dedicated bar area. It's quite the spectacle. All kinds of background reading on La Mar can be had in the Eater Archives, and also at Zagat, Chowhound, Chronicle, and Alcademics.